In the process of the contentual and methodological differentiation of historical research, overall presentations and chronicles of city history have reached the limits of what can be said or shown. In Germany, the historical city lexicon exists as an alternative. Its advantages do not only lie in a bundling of very heterogeneous inventories of knowledge. The participation of a large circle of mostly voluntary authors results in different historical interpretations as well. They add facets and complexity to the cityscape which German municipal administrations in the tourist marketing of history very much like to put in the focus. As early as 1755 Michael Richey, professor at an academic high school, wished for a comprehensive reference work on Hamburg in which one should be able to read everything that was of importance to the Hanseatic city. Although such a compendium of contemporary knowledge would well have fit into the Age of Enlightenment, Richey, however, considered such “a general lexicon of reale Hamburgense” to be unrealistic at the time. With resignation, he conceded he knew no “happy man” who had the necessary time, leisure and tools for it. What Richey could not yet imagine should then be printed 250 years later. The first edition of the Lexicon of Hamburg came out in 1998, based on the model of the Historical Lexicon of Bremen which had been published in 1977 already. In the early years the staff of municipal archives and museums as well as history workshops were the ones in particular who took the questions they were frequently asked as a starting point to write an alphabetically organized reference work. In the 1990s, mayors and municipal administrations discovered city lexica as a means for a supra-regional image and marketing policy. In this function, many lexica are also written from the perspective of a successful urban development. Thereby, embellished cityscapes are especially presented in prefaces and in essay parts. In order to ensure the funding through private sponsors and donations, advertisements and pleasing company portraits can also be found. This commercial development is, nevertheless, reined in by the professionalization of the lexica makers and the expansion of the lexica teams by involving experts from the city society who bring in their ideas and abilities. University historians, historically interested scientists, municipality staff, laymen as well as ambitious young historians often meet over several years in the editor’s offices in order to work together on a book. With a total of 261 authors, 1271 entries, 890 pages and 8 years of development time the new lexicon of the Middle German City of Jena (2018) is a mammoth project. Already the enormous number of contributors leads to a multi-perspective approach to the city history. The articles span the time period from the Paleolithic Age (750,000 BC) over the settlement period of the market town to the history of the big city at the turn of the millennium (2000). Articles about historical events, persons, archeological excavations and buildings characterizing the cityscape alternate with entries on its flora and fauna and the local history of nature conservation. Whoever opens up under the letter “N” finds the entries “nightingale protection”, “Napoleonstein” (a memorial stone of Napoleon) and “National Socialist Underground”, one after the other. On roughly two pages the Nature Conservation Regulations issued in the 18th century are dealt with, as well as the commemoration of the Battle in 1806 and the history of the origins of the NSU terror cell which emerged from the right-wing extremist milieu of the 1990s in Jena and which between 1998 and 2011 committed ten murders, several terrorist acts and bank robberies throughout Germany. Targeted consultation as well as unsystematic leafing through does, in fact, not lead to a comprehensive, meaningful account of the city history in this lexicon written with an enlightening thought, but much rather to historically disconcerting things which appear next to almost forgotten things. 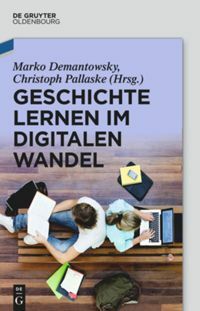 These days digitalization offers a cost-effective variant to update former print editions and to further develop them in cooperation with interested laymen, associations and institutions. Printed re-editions, however, turn often out to be weighty tomes or they are expanded to multi-volume editions. The lexicon makers do not only complete the most recent history but they also react to urban growth and the development of regional metropolises. The Lexicon of Hamburg, for example, included articles from more than 104 city districts. The editors rely on the extra input of the city society for which the lexica are mainly written. The latter does not only come up with suggestions and criticism, the city society also provides the many authors who write articles on the most different fields of knowledge. The city lexicon as a form of crowdsourcing with which the wisdom of many is exploited is, however, not as well-known and comprehensive as Wikipedia. Through the restriction to the local area the collaborative writing on the city lexicon is a particularly participative and self-effective form of involvement of laymen in the historical culture. John, Anke. Lokal- und regionalgeschichtliches Lernen (= Methoden historischen Lernens). Frankfurt am Main: Wochenschau, 2018. Stutz, Rüdiger and Matias Mieth, eds. Lexikon zur Stadtgeschichte. Berching: Tümmel, 2018. Stadtlexikon Augsburg: https://www.wissner.com/stadtlexikon-augsburg/ (last accessed 15 January 2019). Stadtlexikon Nürnberg: https://www.nuernberg.de/stadtlexikon.html (last accessed 15 January 2019). Stadtlexikon Wiesbaden: https://www.wiesbaden.de/stadtlexikon/ (last accessed 15 January 2019). Quoted according to Franklin Kopitzsch and Daniel Tilgner, “Vorwort der Herausgeber,” in Hamburg Lexikon, ed. Kopitzsch, Franklin and Daniel Tilgner (Hamburg: Zeiseverlag, 1998), 9. Franklin Kopitzsch and Daniel Tilgner, eds., Hamburg Lexikon (Hamburg: Zeiseverlag 1998). Werner Kloos, Bremer Lexikon (Bremen: Hausschild, 1977). This is especially true for the publications of smaller and medium-sized cities, amongst others Hannelore Kuna und Edwin Kuna, Historisches Stadtlexikon Teterow (Grambin: Haff, 2011). Rüdiger Stutz and Matias Mieth, eds., Jena. Lexikon zur Stadtgeschichte (Berching: Tümmel-Verlag, 2018). Rüdiger Stutz and Matias Mieth, eds., Jena. Lexikon zur Stadtgeschichte (Berching: Tümmel-Verlag, 2018), 447f. See, for example, the history of origins of the city lexicon of Darmstadt which was printed in one single edition in 2008 and has been online since 2016: https://www.darmstadt-stadtlexikon.de/stadtlexikon-darmstadt.html (last accessed 15 January 2019). A list of no longer listed and current city wikis is provided by the homepage of the Heinrich Böll Foundation: https://kommunalwiki.boell.de/index.php/Stadtwiki (last accessed 15 January 2019). For two of the seven districts of Hamburg there have already been city district lexica: Georg-Wilhelm Röpke, Wandsbek. Ein Stadtteillexikon über Eilbek, Farmsen-Berne, Jenfeld, Marienthal, Tondorf und Wandsbek (Hamburg: Heinevetter, 1994). Harald Richert, Zwischen Bille und Elbe. Stadtteil-Lexikon des Bezirkes Bergedorf (Hamburg: Heinevetter, 1987). Rüdiger Stutz: E-Mail to Anke John on 6 July 2018. On the participation in local history culture see Anke John, Lokal- und Regionalgeschichte (Methoden historischen Lernens) (Frankfurt am Main: Wochenschau, 2018), 99-102. The opened Jena city lexicon on a stack of books. The portrait on the right illustrates an article about the Protestant theologian Gerhard Rad, who was appointed to Jena University in 1934. Rad was one of the few German theologians to stand up for the Jews under National Socialism with Old Testament arguments. On the left side the Great Hall in the Town Hall is depicted after the reconstruction in 1925/26. © City of Jena, use granted on 15 January 2019. John, Anke: From A to Z. Crowdsourcing Historical City Lexica. In: Public History Weekly 7 (2019) 5, DOI: dx.doi.org/10.1515/phw-2019-13369 . Im Zuge der inhaltlichen und methodischen Ausdifferenzierung der Geschichtsforschung sind Gesamtdarstellungen und Chroniken der Stadtgeschichte an die Grenze des Sag- und Darstellbaren gelangt. In Deutschland existiert als Alternative das Historische Stadtlexikon. Seine Vorzüge liegen nicht nur in einer Bündelung sehr heterogener Wissensbestände; über die Beteiligung eines großen Kreises meist ehrenamtlicher Autor*innen fließen auch unterschiedliche historische Deutungen ein. Sie geben dem Stadtbild, das deutsche Kommunalverwaltungen in der touristischen Vermarktung von Geschichte so gerne auf den Punkt bringen, Facetten und Komplexität. Bereits 1755 wünschte sich Michael Richey, Professor an einem akademischen Gymnasium, ein umfassendes Nachschlagewerk für Hamburg, in dem alles stehen sollte, was in der Hansestadt von Bedeutung war. Obwohl ein solches Kompendium zeitgenössischen Wissens gut zur Aufklärung gepasst hätte, hielt Richey “ein allgemeines Lexicon reale Hamburgense” seinerzeit jedoch für unrealistisch. Er kenne, räumte er resignierend ein, keinen “glücklichen Mann”, der die dafür nötige Zeit, Muße und die Hilfsmittel haben würde. Was sich Richey noch nicht vorstellen konnte, sollte 250 Jahre später gedruckt werden. Die erste Auflage des Hamburg-Lexikons erschien 1998 nach dem Vorbild des historischen Lexikon Bremens, das bereits 1977 veröffentlicht wurde. In den frühen Jahren waren es vor allem die Mitarbeiter*innen kommunaler Archive und Museen sowie von Geschichtswerkstätten, die ihnen häufig gestellten Fragen zum Ausgangspunkt nahmen, um ein alphabetisch geordnetes Nachschlagewerk zu verfassen. In den 1990er Jahren entdeckten Bürgermeister*innen und kommunale Verwaltungen Stadtlexika als ein Mittel der überregionalen Image- und Marketingpolitik. In dieser Funktion sind nicht wenige Lexika von der Warte einer erfolgreichen Stadtentwicklung geschrieben. Besonders in den Vorworten und im Essayteil werden dabei wohlfeile Stadtbilder präsentiert. Um die Finanzierung durch private Geldgeber*innen und Spenden abzusichern, finden sich auch Werbeanzeigen oder gefällige Firmenporträts. Diese kommerzielle Entwicklung wird gleichwohl eingehegt durch die Professionalisierung der Lexikonmacher*innen und die Erweiterung der Lexikonteams durch die Einbeziehung von Expert*innen aus der Stadtgesellschaft, die ihre Ideen und Fähigkeiten einbringen. Universitätshistoriker*innen, historisch interessierte Naturwissenschaftler*innen, städtische Angestellte, Lai*innen wie ambitionierte Nachwuchshistoriker*innen treffen sich oft über mehrere Jahre in den Redaktionsstuben, um gemeinsam an einem Buch zu arbeiten. Mit insgesamt 261 Autor*innen, 1271 Einträgen, 890 Seiten und 8 Jahren Erarbeitungszeit ist das neue Lexikon der mitteldeutschen Stadt Jena, erschienen 2018, ein Mammutprojekt. Schon die enorme Anzahl von Beitragenden führt zu einer multiperspektivischen Annäherung an die Stadtgeschichte. Die Artikel umspannen den Zeitraum von der Altsteinzeit (750.000 v. Chr.) über die Siedlungsperiode des Marktfleckens bis zur Geschichte der Großstadt um die Jahrtausendwende (2000). Artikel über historische Ereignisse, Personen, archäologische Grabungen und das Stadtbild prägende Gebäude wechseln sich ab mit Einträgen zur Pflanzen- und Tierwelt und der lokalen Geschichte des Naturschutzes. Wer unter “N” nachschlägt, der findet nacheinander die Einträge “Nachtigallenschutz”, “Napoleonstein” und “Nationalsozialistischer Untergrund”. Auf knapp zwei Seiten werden die im 18. Jahrhundert erlassenen Naturschutzverordnungen abgehandelt, das Gedenken an die Schlacht 1806 und die Entstehungsgeschichte der NSU-Terrorzelle, die aus dem rechtsextremen Milieu der 1990er Jahre in Jena hervorging und die zwischen 1998 und 2011 in ganz Deutschland zehn Morde, mehrere Anschläge und Banküberfälle verübte. Gezieltes Nachschlagen wie unsystematisches Blättern führen in diesem aufklärerisch gedachten Lexikon nicht auf die allumfassende, sinnstiftende Erzählung der Stadtgeschichte, sondern auf historisch Verstörendes, das neben nahezu Vergessenem steht. Die Digitalisierung bietet heute eine kostengünstige Variante, um frühere Printausgaben zu aktualisieren und im Zusammenwirken mit interessierten Lai*innen, Vereinen und Institutionen weiterzuentwickeln. Gedruckte Nachauflagen erweisen sich dagegen oft als unhandliche Wälzer, oder es entstehen mehrbändige Ausgaben. Die Lexikonmacher*innen ergänzen nicht nur die allerjüngste Geschichte, sondern reagieren auch auf urbanes Wachstum und regionale Metropolbildungen. Das Hamburg-Lexikon beispielsweise nahm Artikel von mehr als 104 Stadtteilen auf. Die Herausgeber*innen setzen auf die Zuarbeit der Stadtgesellschaft, für die die Lexika vornehmlich geschrieben werden. Aus ihr kommen nicht nur Anregungen und Kritik. Die Stadtgesellschaft stellt auch die vielen Autor*innen, die Artikel zu den unterschiedlichsten Wissensgebieten liefern. Das Stadtlexikon als eine Form des Crowdsourcing, mit dem die Weisheit vieler ausgeschöpft wird, ist zwar nicht so bekannt und umfassend wie Wikipedia. In der Beschränkung auf den lokalen Raum ist das kollaborative Schreiben am Stadtlexikon aber eine besonders partizipative und selbstwirksame Form der Beteiligung von Lai*innen an der Geschichtskultur. Stutz, Rüdiger und Matias Mieth, eds. Lexikon zur Stadtgeschichte. Berching: Tümmel, 2018. Stadtlexikon Augsburg: https://www.wissner.com/stadtlexikon-augsburg/ (letzter Zugriff 15. Januar 2019). Stadtlexikon Nürnberg: https://www.nuernberg.de/stadtlexikon.html (letzter Zugriff 15. Januar 2019). Stadtlexikon Wiesbaden: https://www.wiesbaden.de/stadtlexikon/ (letzter Zugriff 15. Januar 2019). Zit. nach Franklin Kopitzsch und Daniel Tilgner, “Vorwort der Herausgeber,” in Hamburg Lexikon, ed. Kopitzsch, Franklin and Daniel Tilgner (Hamburg: Zeiseverlag, 1998), 9. Franklin Kopitzsch und Daniel Tilgner, eds., Hamburg Lexikon (Hamburg: Zeiseverlag 1998). Werner Kloos, Bremer Lexikon (Bremen: Hausschild, 1977). Das betrifft insbesondere die Publikationen kleiner und mittlerer Städte, unter anderen Hannelore Kuna und Edwin Kuna, Historisches Stadtlexikon Teterow (Grambin: Haff, 2011). Rüdiger Stutz und Matias Mieth, eds., Jena. Lexikon zur Stadtgeschichte (Berching: Tümmel-Verlag, 2018). Rüdiger Stutz und Matias Mieth, eds., Jena. Lexikon zur Stadtgeschichte (Berching: Tümmel-Verlag, 2018), 447f. Für zwei der sieben Hamburger Bezirke lagen bereits Stadtteil-Lexika vor: Georg-Wilhelm Röpke, Wandsbek. Ein Stadtteillexikon über Eilbek, Farmsen-Berne, Jenfeld, Marienthal, Tondorf und Wandsbek (Hamburg: Heinevetter, 1994). Harald Richert, Zwischen Bille und Elbe. Stadtteil-Lexikon des Bezirkes Bergedorf (Hamburg: Heinevetter, 1987). Rüdiger Stutz: E-Mail an Anke John vom 6.7.2018. 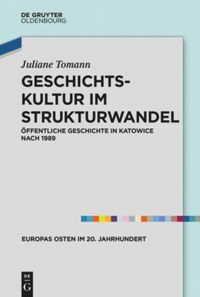 Zur Teilhabe an lokaler Geschichtskultur siehe Anke John, Lokal- und Regionalgeschichte (Methoden historischen Lernens) (Frankfurt am Main: Wochenschau, 2018), 99-102. Das aufgeschlagene Jenaer Stadtlexikon auf einem Bücherstapel. Das Porträt auf der rechten Seite illustriert einen Artikel über den 1934 an die Jenaer Universität berufenen Evangelischen Theologen Gerhard Rad. Rad gehörte zu den wenigen deutschen Theologen, die im Nationalsozialismus mit alttestamentlichen Argumenten für die Juden eintraten. Auf der linken Seite ist die Große Halle im Rathaus nach dem Umbau 1925/26 abgebildet. © Stadt Jena, Nutzung gewährt am 15. Januar 2019. John, Anke: Von A-Z. Historische Stadtlexika crowdsourcen. 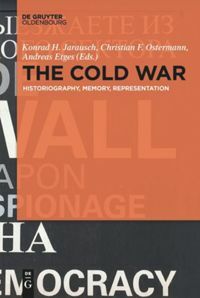 In: Public History Weekly 7 (2019) 5, DOI: dx.doi.org/10.1515/phw-2019-13369.